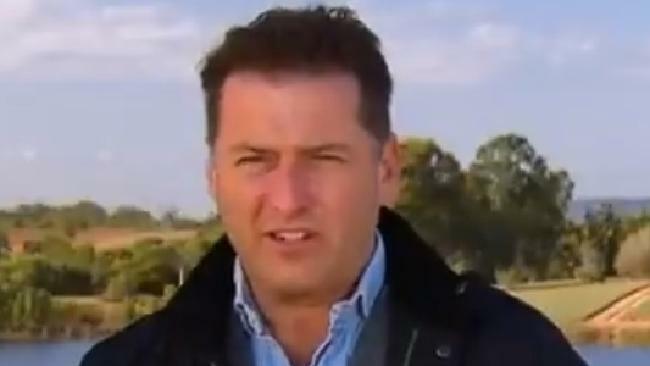 KARL Stefanovic is "disgusted" by the nationwide contaminated fruit crisis and has implored authorities to come down hard on the culprits. The Today Show host told viewers he was at the "beating heart of this crisis" at the Glasshouse Mountains north of Brisbane this morning. Stefanovic said they wanted to visit properties, speak to farmers and find out how difficult things have been for them over the past seven days as they dump perfectly good fruit and struggle with sales. Crossing live to the studio, he interviewed politicians to ask what was being done to tackle the problem and find and arrest culprits. What do you think of the media frenzy surrounding the strawberry sabotage? 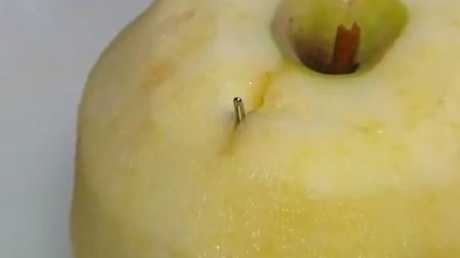 The West Australian government has followed Queensland in offering a $100,000 reward for any information on the tampering, as New South Wales police investigate the discovery of needles in an apple and banana. Speaking to Queensland Premier Annastacia Palaszczuk, Stefanovic told her "we really need to come down so hard on anyone who is doing that sort of activity". "I can't tell you how disgusted I am, also in the fact that they are fabricating evidence," he said. "There's fabricated fruit out there and people are behind that." 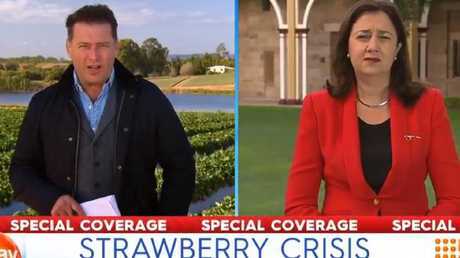 The country's strawberry contamination scare has now spread across six states, with Western Australia's Premier Mark McGowan describing the offenders as dropkicks who were liable to 20 years imprisonment. 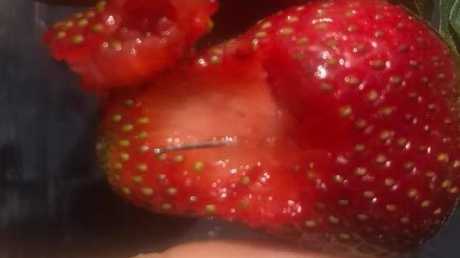 More than 20 cases of contamination have been reported across the country since the first incident last week, when Brisbane tradesman Hoani Hearne, 21, was taken to hospital after swallowing a needle in a strawberry. Ms Palaszczuk they needed to find the source of the problem. "I'm just as disgusted as you are," she said. "This copy cat stuff has got to stop as well. "The police will find you. They will charge you." Stefanovic said sales were down about 50 per cent, with farmers having to dump good fruit. "It's a real tragedy for them," he said. "If it goes for too much longer, a lot will be struggling." In Sydney, a mum was horrified to find a needle in a Pink Lady apple at The Ponds in the city's northwest. NSW Police are also investigating a complaint about a needle found inside a banana at a grocery store in Condell Park. The offences carry a 10-year jail sentence in NSW. The Federal Government is putting $1 million towards helping to fast track recalls and increasing detection of sabotage. More than 100 police are investigating. From 9am on Wednesday, all fresh strawberries being exported from Australia must be metal-contaminant free. 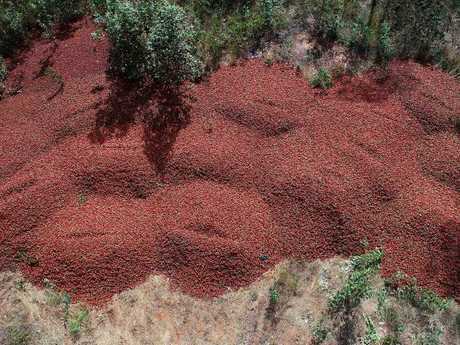 Dumped Strawberries at Donnybrook Berries at Elimbah in Queensland. Fourth-generation farmer Rebecca Scurr shared how metal detectors had been on their farm for four years, and how even growers who weren't the brands implicated had been affected. "For the first few days you're shell-shocked," she told Stefanovic. "You never really think it will be you and your industry. "It took a little while to set in. Now it just plays on everyone's mind. We are a family business and we have got a lot of employees that are absolutely like family. "We take it to heart. It's just awful to see strawberries on the front page for such a negative thing." Ms Scurr said it was really sad to see these things happening. "I guess the message is cut it up, don't cut it out," she said. "There are plenty of family farms here that are still producing and we are not directly linked to these incidents and we absolutely want you to keep buying strawberries."